Neymar da Silva Santos Júnior was born of February 5th, 1992 (26 years old) in Mogi das Cruzes, Brazil. Best known as Neymar Jr, or even shorter – Neymar, is a Brazilian professional footballer who plays as a forward for French club Paris Saint-Germain and the Brazil national team. Neymar is the most expensive Association Football transfer (£198 M, from Barcelona to Paris Saint-Germain in 2017). As part of Barça’s attacking trio with Lionel Messi and Luis Suárez, he won the continental treble of La Liga, the Copa del Rey, and the UEFA Champions League, and came third for the FIFA Ballon d’Or in 2015 for his performances. He followed this up by attaining a domestic double in the 2015–16 season. In August 2017, Neymar transferred from Barcelona to Paris Saint-Germain in a move worth €222 million, making him the world’s most expensive player. In France, he claimed a domestic treble of Ligue 1, Coupe de France, and Coupe de la Ligue, and was voted as the league’s Player of the Year. For his characteristics, people have stated his strengths and weaknesses. As “very strong” they have rated his through balls, key passes, dribbling, taking set-pieces, and as just “strong” they have rated his long shots, direct free kicks, crossing and passing. As his weaknesses, people have mentioned his defensive contribution and discipline. 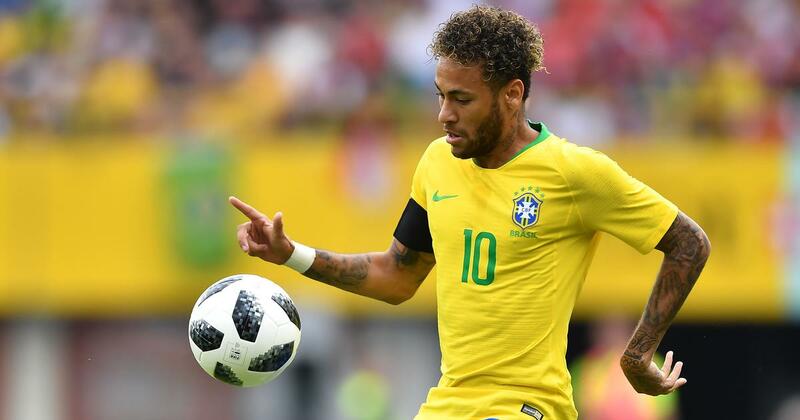 Neymar is worth at least $90 million, with $73 million of that coming from his soccer salary and winnings, and 17 million$ of his fortune coming from lucrative endorsements with major brands, according to Forbes. On 5 February 2012 (the day of Neymar’s 20th birthday), he scored his 100th professional goal against Palmeiras in classic Neymar way. The timing of his goal was just incredible. Not many footballers can boast about scoring on their birthday, let alone setting such a milestone. What’s more impressive about all of this is, Neymar did it all at just 20 years of age. His career is definitely one to keep an eye on!